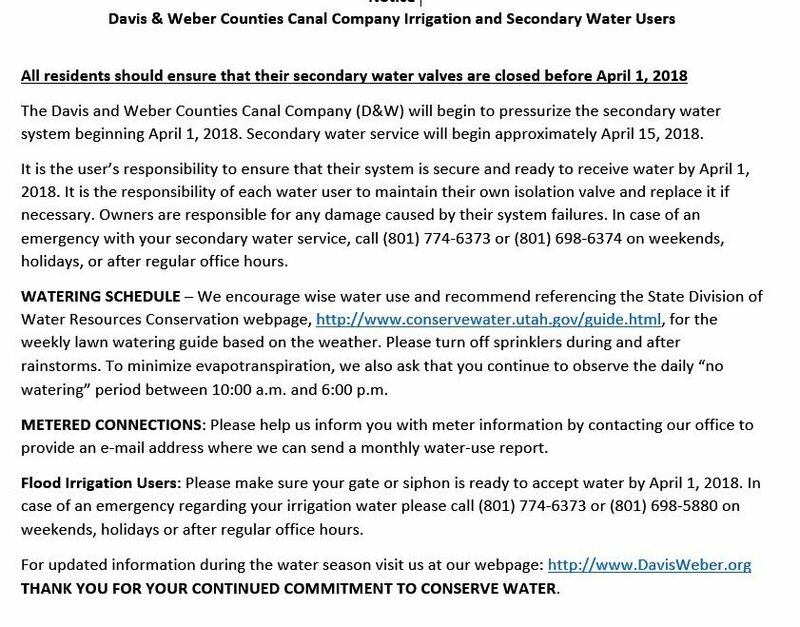 Davis and Weber Counties Canal Company delivers water to over 14,000 connections in parts of three cities (Kaysville, Layton and South Weber). We serve all of Clinton and West Point Cities. The secondary water system began in the late 1980's as agricultural land was beginning to develop. 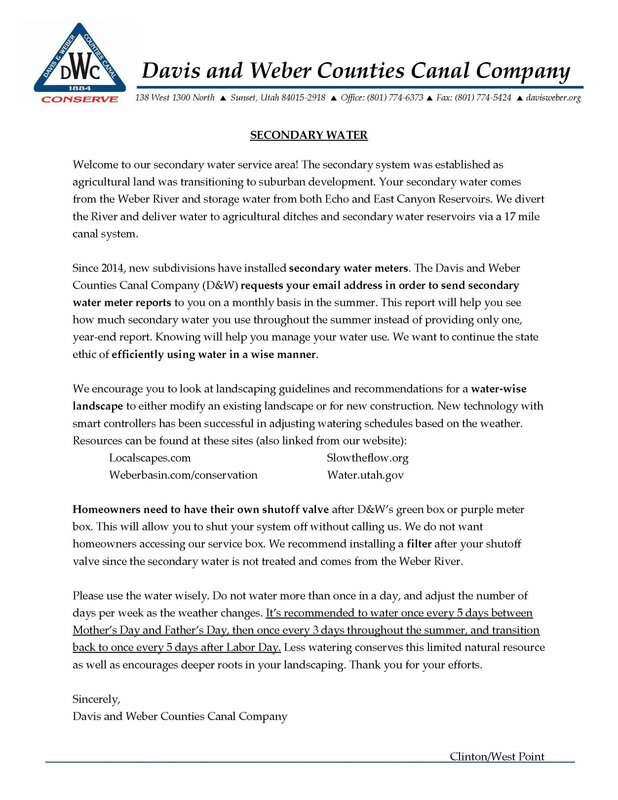 The original system was funded by Board of Water Resource loans, annual fees continue to pay those obligations.